Looking to book your company Christmas party? 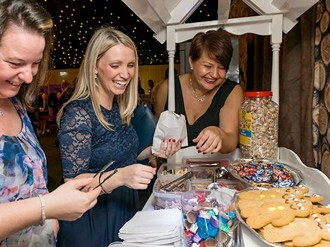 It’s only April, but for many companies that means the start of the financial year and time to start allocating budgets – and that probably includes the Christmas party budget too! 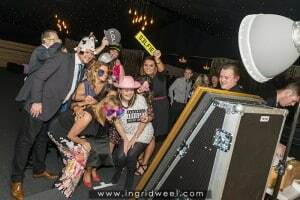 Christmas parties at top venues get booked up fast and early in the year so now is a great time to start investigating and making enquiries. But what makes a great Christmas Party? Find out with our top tips for perfect Christmas Parties! The short and oversimplified answer is you and your guests – because if you’re having a great time then it’s going to be a great evening; but the real answer is multi-faceted and there are many factors to think about. Not everyone gets excited about the office Christmas Party, some people dread it, others can be apathetic… So, what can you do to build excitement, get everyone engaged and ensure that, when the night arrives, you’re all in the mood for a party? A village hall is all good and well, but no matter how much dressing up you do, it still looks and feels like a village hall; the same is true of many function room based Christmas events, be they in hotels, golf clubs or even the local community centre. Look for a venue that is different. The whole event should be an experience; you want to be swept up in it from the moment you arrive. 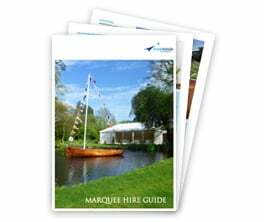 If you can find a venue that is interesting and cleverly themed throughout then you’ll feel the excitement build from the moment you step out of the car or coach. 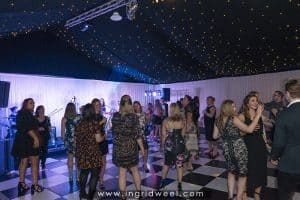 We’ve all been to Christmas parties before, so if you can find a venue that offers something a little different then you and your colleagues will look forward to this one with excited anticipation. Winter wonderland, the North pole, Santa’s grotto and pantomime themes have all been done before, they’re great but perhaps not all that inspiring, especially to those who’ve been going to office Christmas parties for years. Give everyone a treat and find something that will get people talking excitedly about it in the office and you’ll be more likely to get people engaged and to see a good turnout. Make sure the food is going to be excellent. Christmas parties are renowned for dry Turkey, watery gravy and sub-par stuffing. Not everyone at the office Christmas party wants to drink heavily, so for many of the guests the food is an exciting and important element. With so much focus on food these days there’s no excuse for poorly catered Christmas parties. You may find some venues charge a higher per head price tag, but this will likely be reflected in the quality of the food and will be well worth the investment in the longer term. Anyone can set up some decks and call them selves a DJ. Make sure your chosen venue has booked a professional. Nothing kills a party like a DJ that can’t read the room. A good DJ will know which tracks link well to keep the dancefloor filled, they will also know when to slow things down and also how to deal with drunken requests! 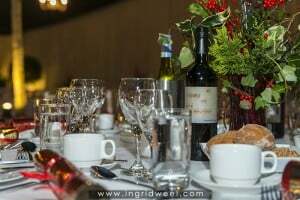 It may sound simple but providing music for a Christmas party requires skill and experience; you’re catering for multiple age groups and tastes – This had to feature as one of our top tips for perfect Christmas Parties, after all there’s only so much a free bar can do, so make sure your venue hasn’t cut corners here. From the provenance of your food to the way it’s cooked and served; the theming of the venue, the music that is played right through to the way you are treated by your venue hosts (Cattle or guests?) – The Christmas party that you get will depend on the flexibility of your budget. Ultimately, as an employer, you’re looking to treat your staff, to thank them for all of the hard work that they have put in over the course of the year. What message does it send to them if the party venue is drab, poorly styled and badly catered? One of our top, top tips for perfect Christmas parties is: Don’t just look at the ticket price. Investigate the offering and find out exactly what you are getting for your money. Better Christmas parties don’t have to break the bank, they just require some research. Find a supplier that cares about the Christmas party they are offering, rather one looking to line their pockets, and you won’t go far wrong. 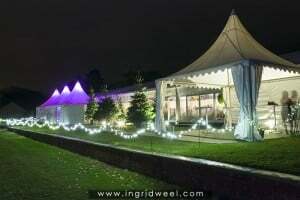 Inside Outside have teamed up with Rocket catering and the Royal Berkshire Polo Club to create ‘Fire & Ice’, a unique, dramatically themed, marquee based Christmas party event. Fire & Ice can host up to 350 guests for a sumptuous three course meal, including half a bottle of wine per guest. 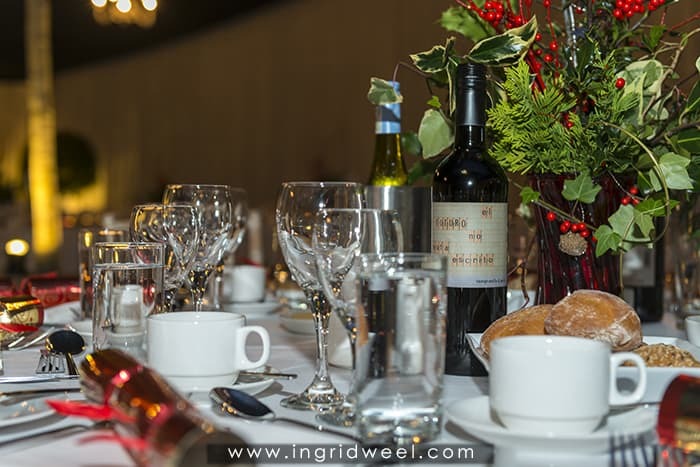 The evening begins with a drinks reception and Amuse Bouche in a beautifully themed, fully heated marquee venue and is the perfect choice for office Christmas parties or for a private Christmas party. 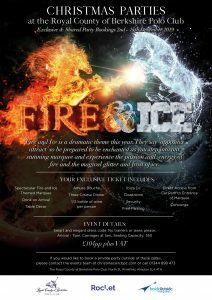 If you’ve read our top tips for perfect Christmas parties then have no fear, we have them all covered with Fire and Ice! Email christmas@rcbpc.com or call 01344 890060 to enquire.